Academic Highlights | Kirwan Rockefeller, Ph.D.
Kirwan Rockefeller, PhD is Adjunct Faculty at the Saybrook University College of Social Sciences and College of Integrative Medicine and Health Studies. 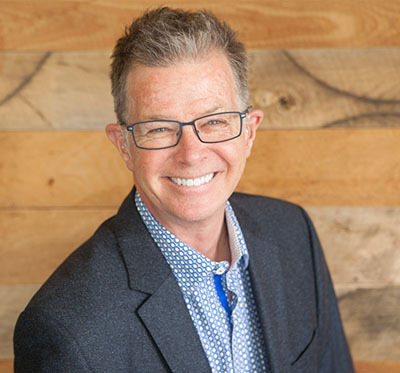 He has a 35+ year career in mind-body modalities and received his PhD from Saybrook University; MPA in Organizational Development/Behavior from the University of Washington, and BA from the University of Richmond, Virginia. He has a Level 1 Certification from the Academy of Guided Imagery, under the direction of David Bresler, PhD and Martin Rossman, MD. He was Editor of The California Psychologist, the bi-monthly peer-review publication of the California Psychological Association (2007-2012), serves on the CPA Editorial Review Board, and is a member of the American and California Psychological Associations. Dr. Rockefeller lives in Newport Beach, California. Approval status: Approved to chair or serve as a committee member on master’s degree projects of theses; chair or serve on doctoral essay committees; chair or serve on dissertation committees. Faculty member is qualified to direct the following research methods: Action research, narrative inquiry, case studies, expressive arts inquiry npsychotherapy, semi-structured interviews, survey research, participant-observational, and archival/historical research. Personal research interest: Guided imagery, expressive arts/authentic movement, spirituality and consciousness, affirmative LGBT psychology, addiction, leadership development, personal mythology, dreamwork, psychology of shamanism, psychoneuroimmunology, media, social and organizational psychology. Past experience supervising student research: Dr. Rockefeller is currently serving as dissertation chair and committee member for several Saybrook students, and has been a dissertation committee member for students at Capella University (effectiveness of organizational affinity/diversity groups), The Chicago School of Professional Psychology, formerly California Graduate Institute (narrative in psychology, super model body imagery and adolescent girls impacted by anorexia, teen peer counseling, high-risk sexual behavior of gay men), and Pacifica Graduate Institute (depth psychology for gay men). Rockefeller, K. (1994). Film and dream imagery in personal mythology. The Humanistic Psychologist. 22 (2), 183-202.